Manhattan Park’s colorful, artistic pool installations are fast becoming legendary– with this year’s work provided by painter Andrew Faris. View a time lapse video of the pop-up pool transformation, designed by K&Co and Pliskin Architecture. 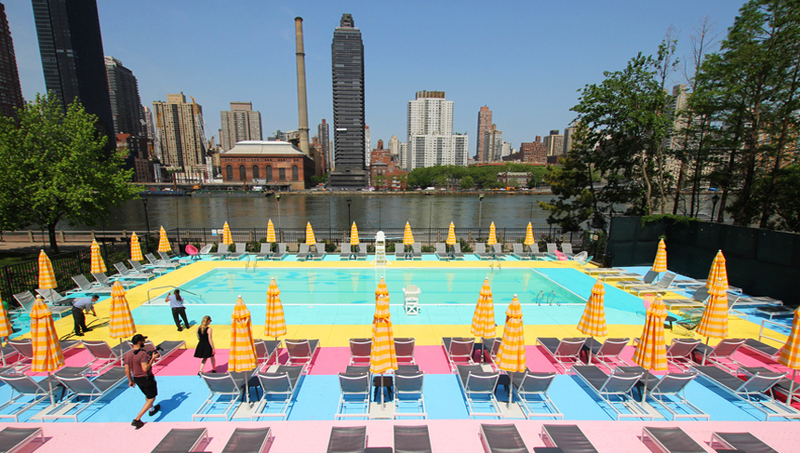 For the second consecutive year, cotton candy colors have returned to the Manhattan Park Pool Club on Roosevelt Island. The Roosevelt Island Associates have once again commissioned a vibrant mural around the 8,000 square foot pool.